We’d love your help. 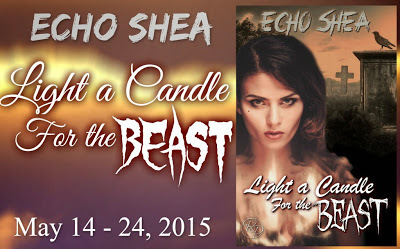 Let us know what’s wrong with this preview of Light a Candle for the Beast by Echo Shea. These are the words on my sister’s grave. Her sad If you’ve ever been caught in a riptide, pulled down into the water, then you know me. Or, more accurately, what I’m like when I’m angry. To ask other readers questions about Light a Candle for the Beast, please sign up. Books I have read that you might want to. 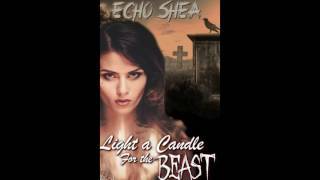 Light a Candle For the Beast... Echo Shea..
An intriguing short read with a mix of fairytale and mythology.. I always loved the fairytale of Beauty and the Beast and enjoyed the HEA.. This is not that story... That being said, Ms Shea creates a story that was unexpected but throughly enjoyed. The Beast! yes he was a beast and treated "Belle" (Delia) poorly to say the least. But with the help of her sister Eden, (a Naiad) who travels to the underworld to set the Beast Free.. I enjoyed this short s Light a Candle For the Beast... Echo Shea.. I enjoyed this short story, I would have liked for it to have been longer, perhaps with more detail of Eden's life and not just her vengeance against the beast. could she have her own story with a HEA.. hopefully Ms Shea will continue with Eden's Story.. I received an ARC for an honest review. This was a fantasy, short story of forgiveness. Language was clear and descriptive allowing you to visualize the scenes. It was to the point and written very well. I definitely will read more by this author. International where allowed - Click on Banner to enter! What would you do to seek revenge for the brutality forced on your sister, making her a sightless shell of the woman she was meant to be? Eden is special, not quite human, a trait inherited from her grandmother and she has the power to curse the man who broke her sister. Andrew was a brutal husband and Delia died waiting for him to return, her heart, mind and body shattered and disfigured. Two hundred years later, Andrew has become the monster that had lived within him, imprisoned for eternity to suffer for what he did. Only someone as kindhearted as Delia could ask to have the curse lifted. Will her spirit rest easier? Is it time for Eden to let go of her hatred? I received this copy from Echo Shea in exchange for my honest review and I'm saying get it, you can slip away and be back to reality without anyone knowing you left! Everything about Light a Candle for the Beast by Echo Shea appealed to me. The punch packed into this super short is mind blowing. I saw the raven or crow (Errol), whichever you would like to call it, and I knew it was watching over her. The ghost of her sister talks with her. It makes me wonder, does our need for revenge and our grief drive us to do things we normally wouldn’t do? How far would you go to avenge the wrong done to one you loved? Would you let it destroy you? This wasn’t what I thought i Everything about Light a Candle for the Beast by Echo Shea appealed to me. This wasn’t what I thought it would be, but I loved the surprise. It is even better than I anticipated. Scurry, little spiders,scurry on your way. For I am just a predator, searching for my prey. If you are not familiar with Echo Shea, now is the perfect time! Love, revenge, regret, forgiveness, and did I say love? I wasn't sure what to expect when I picked up this book. Ms. Shea has a way with words that tug at your emotions. 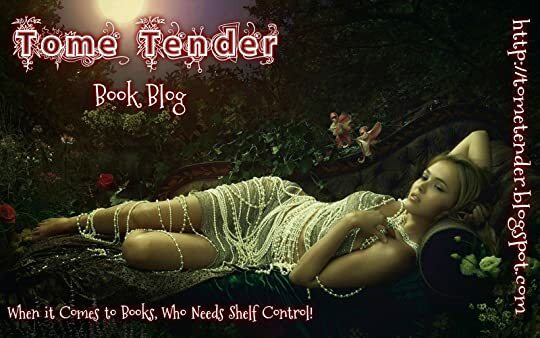 This story is consistent with her other writing and you won't be disappointed if you are looking for darker romantic tale. The writing gives a strong visual of a brand new world you never knew existed. This story is ultimately about forgiveness. You feel the main character's pain and almost can't believe the ending. I would love to read more about Eden's story. Let me just say that I I wasn't sure what to expect when I picked up this book. Ms. Shea has a way with words that tug at your emotions. This story is consistent with her other writing and you won't be disappointed if you are looking for darker romantic tale. Let me just say that I am normally a fairy tale ending, happily ever after kind of girl. Ms. Shea's stories are amazingly written, but if you are looking for light, her stories aren't for you. She tugs on your heartstrings, before giving the audience a satisfying ending. Light a Candle for the Beast had an interesting premise and it did not disappoint. My only real complaint with the story is that I wanted more out of it. More background, more story. But this is, after all, a short story so it has the right amount of information and development for that. I enjoyed Light a Candle for the Beast and should Echo Shea ever write an expanded version of the story, I would absolutely want to read it. Dark fantasy short story of romantic love about a woman who is wronged and the lengths her sister goes to protect her. An ages-long curse is lifted by acceptance and forgiveness. Evocative and haunting. A fast paced fantasy about sisters. Two of them along with their mother were born human. Eden, the third sister, like the grandmother she named for is not.I am only going to tell you that she is incredibly special.....so, one of her sisters, Delia, met, fell in love with and married Andrew, who it turns out is a cruel and abusive husband. When Delia can't conceive a child, he beats her, even worse than usual. Eden tells her, it's his short coming, not hers. Andrew catches her with another man,( A fast paced fantasy about sisters. Two of them along with their mother were born human. Eden, the third sister, like the grandmother she named for is not.I am only going to tell you that she is incredibly special.....so, one of her sisters, Delia, met, fell in love with and married Andrew, who it turns out is a cruel and abusive husband. When Delia can't conceive a child, he beats her, even worse than usual. Eden tells her, it's his short coming, not hers. Andrew catches her with another man,( I imagine she is trying to give him a child) Andrew boils oil, pours it over her, drops the pot, cracking her skull. Delis is no more than a disfigured, sightless woman who only stands in front of the window waiting for Andrew to bring her a rose, as he did when he was courting her. Eden goes a little crazy at what's happened and puts a curse on Andrew, who becomes an un -nameable beast which Eden chains and personally drags him to hell.....That was 200 years ago...Delia comes to Eden as she stands at the grave side to place a rose on Delia's grave. She wants Eden to lift the curse on Andrew.....So, now you have the gist of the story, you'll have tor read the specifics for yourself. Trust me, this is one amazing tale! A short read, I wish it had been longer. The author did a great job at pulling me in although I was a little confused at first. Once things became clear, I enjoyed the ride. A shame it was a short one. I would've loved to learn more about Eden. Quick review for an intense short story. "Light a Candle for the Beast" is a very intriguing world, written in a distinctive and gripping style, and dealing with some powerful issues. I got totally caught up -- and disagreed strongly with the ending, a sign of just how caught up I was. I received ARC copy of this book for a honest review. Sometimes you have to forgive to move on with life. Revenge is a easy way out but there will be regret and guilt for doing the right thing weight down on your shoulder. Short fantasy that highlights one power packed episode. Writing was well done. Explanations painted the picture of what had been and now is. Details fueled a fascination for the plot and provided interest and curiosity about the action. The author illustrates the power of forgiveness. Recommend this book for all lovers of New Age shenanigans and magic. I was given an ARC in exchange for an honest review. Five Stars. Short story but very interesting and different in a good way. I liked the story line, it was a bit on the dark side. It kept my interest the whole time. It is a fast read, less than 30 minutes. READ MY FULL REVIEW ON MY BLOG!! Revenge. Letting go. Forgiveness. Acceptance. Regrets. In very short pages, Echo was able to tell a wonderful story about all of those. Light a Candle for The Beast is pretty much all the retelling of Beauty And The Beast that it said to be. Just with a twist of Greek mythology. It was short, yes, and it wasn't enough for Eden's story to be grow more. Anyway, that story will only come into view if this was made a little longer. Anyway, the book is great in every as READ MY FULL REVIEW ON MY BLOG!! Anyway, the book is great in every aspect, though the characters were not given much space to have a finer connection to the reader/s. It's good. You'd be able to feel what Even (most of all) feels. The book takes sudden turns everywhere, where it just jumps, which made it pretty confusing to me at the start of the shift but you'll be able to get it, sooner. The ending was really great. All happy and a tale of happy ever after. I really liked Light a Candle for the Beast. In fact, it's one of the best short stories I've read in a while and it made me want more. The reason I loved it so much was that it isn't only a Beauty and the Beast retelling but it also features Greek mythology, which happens to be one my favorite things ever. Aside from it being a retelling and featuring Greek mythology I also liked it because it was a rather dark story. I love stories that are dark so this one was really something for me. This cer I really liked Light a Candle for the Beast. In fact, it's one of the best short stories I've read in a while and it made me want more. The reason I loved it so much was that it isn't only a Beauty and the Beast retelling but it also features Greek mythology, which happens to be one my favorite things ever. Aside from it being a retelling and featuring Greek mythology I also liked it because it was a rather dark story. I love stories that are dark so this one was really something for me. This certainly isn't your typical Beauty and the Beast re-imagining. But that's what I loved about it. Another thing I liked was the writing. It was really beautifully writting, in my opinion. That's what stood out to me the most, actually, when I started the book. I would've loved to read a full story in this world but even though it's a really short story, it didn't feel rushed at all. I thought it was really good as it was. I received this book from the author in return for a fair and honest review. This is a short re-telling of Beauty and the Beast. It is only 24 pages long so doesn't take long to read at all. However, during those 24 pages you will be immersed in the story and given a depth of detail usually only found in longer books. This is the story as told by 'Belle's' sister - not someone heard of much at all in the Disney version. In the original version, she did have two older sisters so this is more true I received this book from the author in return for a fair and honest review. This is a short re-telling of Beauty and the Beast. It is only 24 pages long so doesn't take long to read at all. However, during those 24 pages you will be immersed in the story and given a depth of detail usually only found in longer books. This is the story as told by 'Belle's' sister - not someone heard of much at all in the Disney version. In the original version, she did have two older sisters so this is more true to that than the other. Fairytales used to be dark, usually with at least one warning of what could happen if you weren't careful. Light a Candle for the Beast shows just what can happen if one of your family is mistreated by someone who doesn't care. A new to me author. This was a short dark fantasy story based on forgiveness. Somewhat similar to beauty and the beast meets the future. Delia is sorely abused by the man she loves and her sister Eden punishes him with a curse of beast. He is locked in hell in a cell. Delia however wants Eden to forgive him and move on with her life after so many years. Can Eden do as her sister asks? Can she free the beast and forgive him? 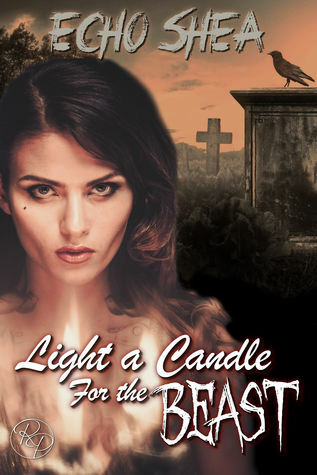 Echo Shea's Light a Candle for the Beast is a fabulous spin on the Beauty and the Beast tale. It revives the original warning nature of many fairytales. If I can't have my happily-ever-after romances, this is my next preference: lost souls struggling to find their way back to the light, and where those who deserve it get their comeuppances even if sometimes the good guy gets tarnished in the process. I give this story 5 of 6 stars (which I round up to 5 on a 5 star scale) because while I revere E Echo Shea's Light a Candle for the Beast is a fabulous spin on the Beauty and the Beast tale. It revives the original warning nature of many fairytales. If I can't have my happily-ever-after romances, this is my next preference: lost souls struggling to find their way back to the light, and where those who deserve it get their comeuppances even if sometimes the good guy gets tarnished in the process. Let me start by saying that I was intrigued by this book after reading the synopsis and it did not disappoint! It is a quick read and I was able to read it within a day, which is right up my alley considering I have two little ones to chase around. It was nice to be able to finish a book in one sitting. This story hooked me from the beginning. I'm not sure if it was because of the strong writing or if it was because of my love for the Beauty and the Beast story, maybe even a mixture of the two. I Let me start by saying that I was intrigued by this book after reading the synopsis and it did not disappoint! It is a quick read and I was able to read it within a day, which is right up my alley considering I have two little ones to chase around. It was nice to be able to finish a book in one sitting. This story hooked me from the beginning. I'm not sure if it was because of the strong writing or if it was because of my love for the Beauty and the Beast story, maybe even a mixture of the two. It's always been one of my favorites so to read a story that puts it's own unique spin on it was great. Very short fantasy loosely based on a darker version of Beauty and the Beast. For the first few pages, I could feel my brow being pulled taut and I did actually have to go back and start again because it felt like I'd missed something. Once I got to grips with the whole thing though I was pleasantly swept away. The imagery and vocabulary Echo Shea uses to portray her visions is breathtaking. I easily pictured this story playing out in my mind and could hear the characters talking to each other. I Very short fantasy loosely based on a darker version of Beauty and the Beast. I waited a while to read this story. I do hope the author forgives me. There is a sixth sense I have when it comes to books that will affect my thinking. I always listen to it and this one was a book worth waiting for. First off the piece had a lovely lilting tone with a large dash of steel underlying each word. The story itself was revenge with a twist. I enjoyed getting to know the two sisters and even the beast. I felt for each party as it was clear that time and change affected all three parti I waited a while to read this story. I do hope the author forgives me. There is a sixth sense I have when it comes to books that will affect my thinking. I always listen to it and this one was a book worth waiting for. I felt for each party as it was clear that time and change affected all three participants, not all for the better. I loved seeing it unfold and will be keeping this on my carousel in my Kindle for my re-reading pleasure. I find it hard to rate this book. For the first half, I was confused I couldn't understand really what was going on. When I finally did, the book was halfway over, and it's not even a long read. I feel the author could have made this a little longer to better explain what was going on. I would have loved to have a clearer understanding of what was going on. By the end of the book, I was wanting it to not end. But it did. Echo Shea takes you on a terrific alternate spin on Beauty and the Beast. Even though this is a short tale it is complete in its telling. The characters are strong and the story is woven so that you stay in the story and don't get that sense that you came into the middle of a series and must be missing an important element to the story that many shorts leave you with. That being said I was left feeling that I wanted more, s great tale that ended too soon. It made me wonder - who is hurt most when we withhold forgiveness? Us or the person we are trying to punish. Even though it took me no time to read this, I loved it. I was very surprised at how much I wanted more when I was finished. I found the beauty and the beast spin very intriguing. I was not sure how I was going to like it at first but Echo definitely made it intriguing. And although it is a short read it is packed with a-lot of detail and story. The only thing that did bum me out was the length. Overall it is definitely worth a moment of your time. Light a Candle for the Beast is the first piece of work I've read by Echo Shea, and I am now eagerly looking forward to reading more by this author. This a dark, Fractured Fairy tale with intrigue in details on every page. There is nothing of the mundane confined to these pages. I absolutely loved it and experienced deeply - felt sorrow for the primary protagonist. It may be a short story, but the experience offered so much more. This was an incredibly fast-paced short story, very loosely based on the Beauty and the Beast fairytale. It's a tale of the love of sisters, a beast, and forgiveness. In testament of the author's incredible gift for writing, I was completely drawn into this world and invested in the characters - all in less than 25 pages. Haunting and gripping, this is a gem of a short story. Well done! I just have to say, I am enchanted. I am going to be following this author's works! I love UF and she nailed it on the head with this one. I love her character's strength and flaws and I hope to see more of her to come. She deserves a longer novel. Giterdun! This is the first book I have read by this author and I was really excited to read it as its completely different to my usual reads. Light a Candle for the Beast is a short fantasy read that focuses on revenge and forgiveness. It is well written and thought provoking. My only complaint is that I wanted more. Echo Shea is an urban fantasy author. She can be found avoiding house works, guarding her chocolate, and penning her next read.